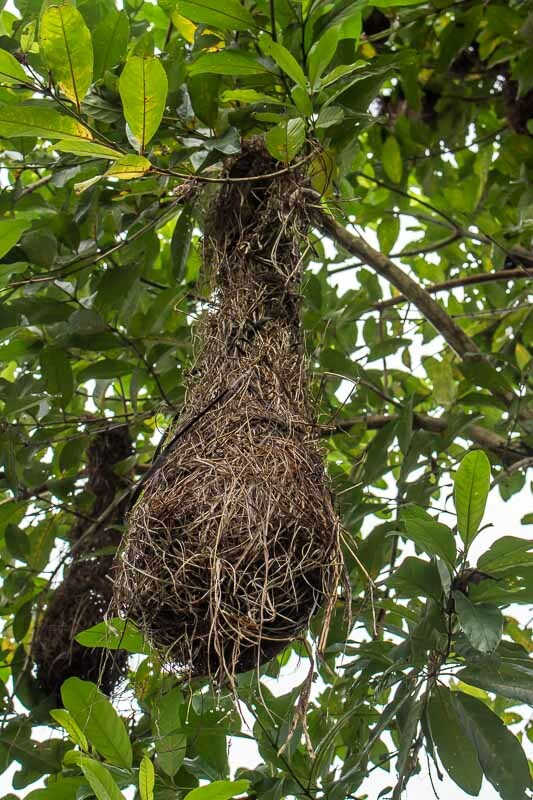 Thinking of taking a tour in the Amazon rainforest? Think you need to fly into Brazil or maybe Peru to make it happen? 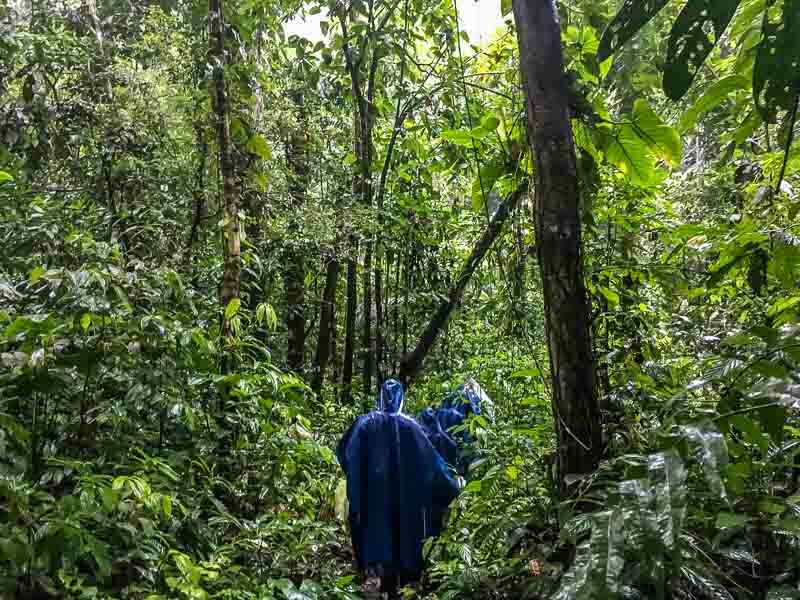 The truth is, the Amazon jungle is a giant ecosystem running through 9 countries in South America, and, though Brazil accounts for the largest share of it, it’s not the only way to experience the Amazon rainforest. Like more and more people are doing, we chose to see it while visiting Ecuador. Honestly, the Amazon isn’t the first thing I think of when someone says Ecuador. 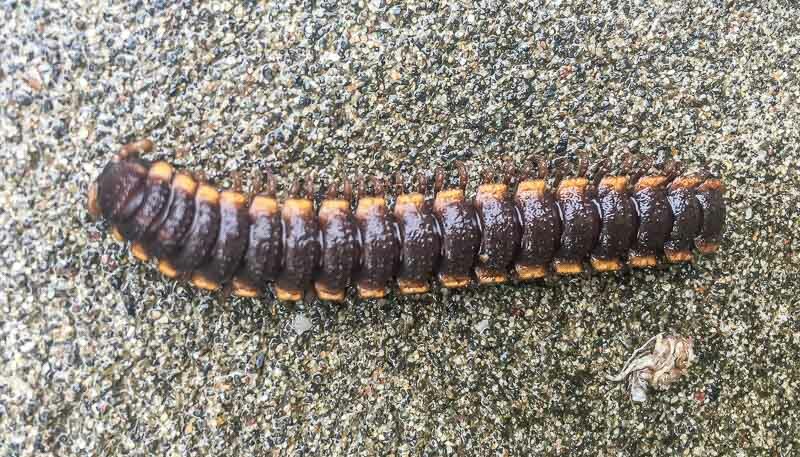 My first thought of Ecuador is of the famed Galapagos Islands and that’s a shame, because Ecuador is a wonderful, accessible way to visit the mighty Amazon rain forest. 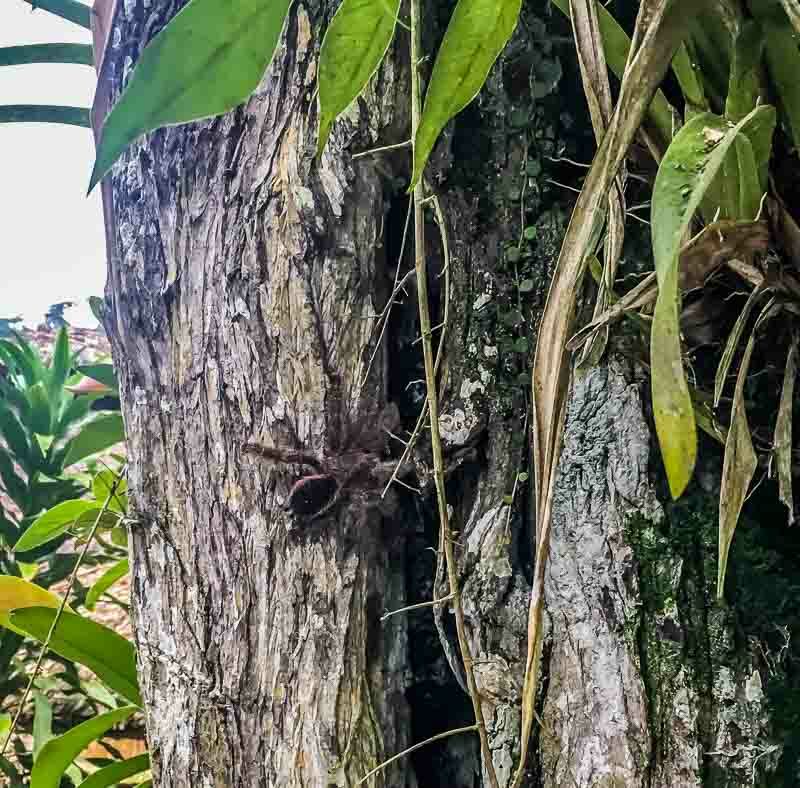 During our Amazon jungle tour in Ecuador, we saw almost everything we’d dreamed of in the Amazon, including monkeys, bids, piranha, plus plenty of exotic insects and creepy crawlies galore. 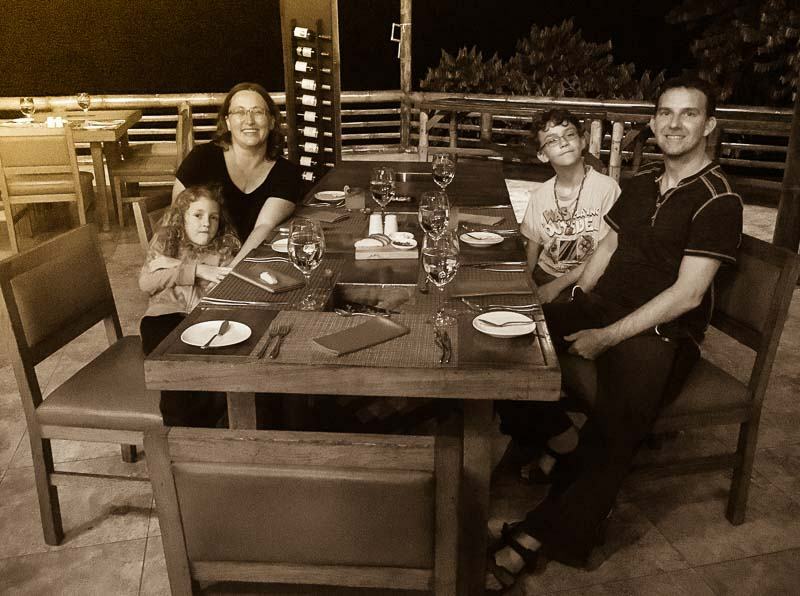 We visited the Amazon as a family of four, with our two kids, ages eight and eleven, so we wanted to stay somewhere comfortable for the kids (and honestly, comfortable for us as well). 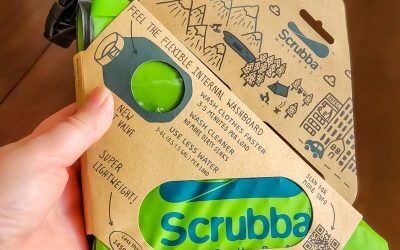 We wanted to be able to do all the activities we dreamed of and still have a clean shower at the end of the day. 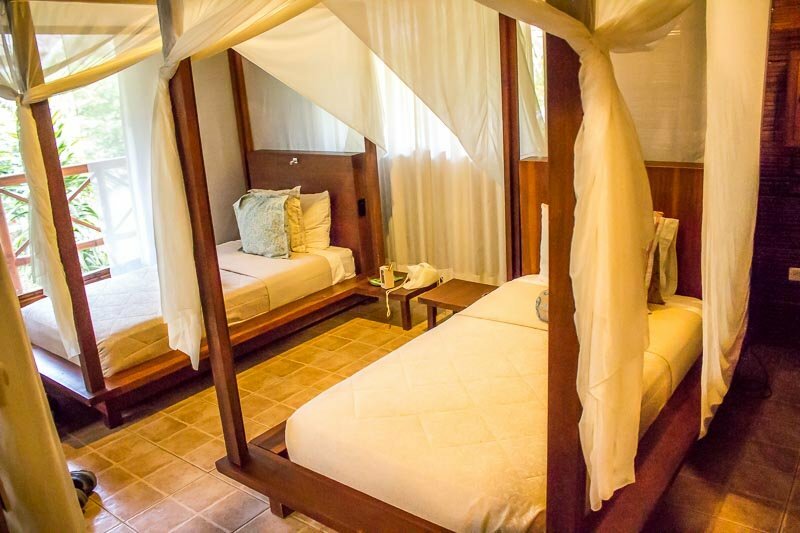 We also wanted good food and a comfortable bed, so we chose to stay three nights/four days at the highly rated La Selva Lodge (see reviews on TripAdvisor here). 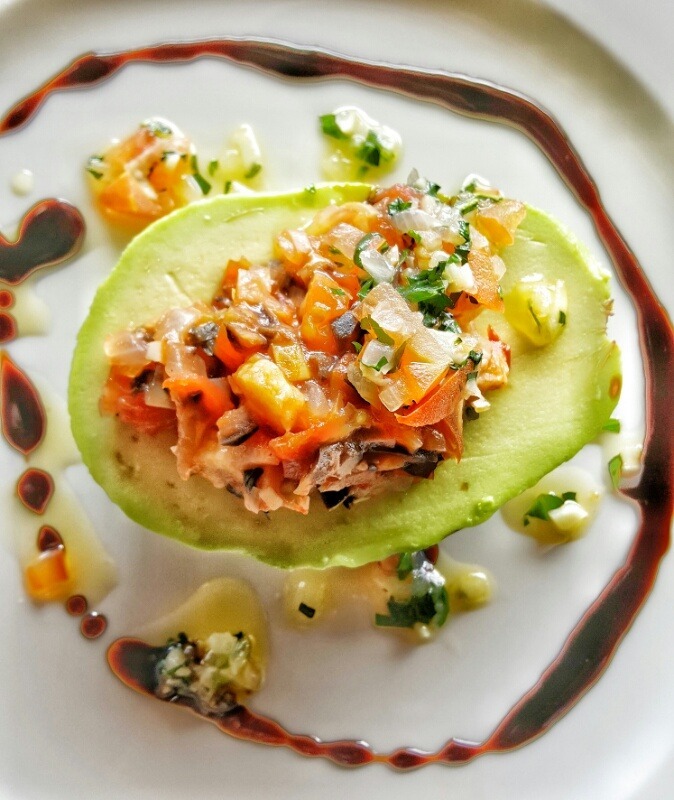 La Selva included transportation, all activities, and gourmet meals, but did not include airfare from Ecuador’s capital city, Quito (though that can be arranged). 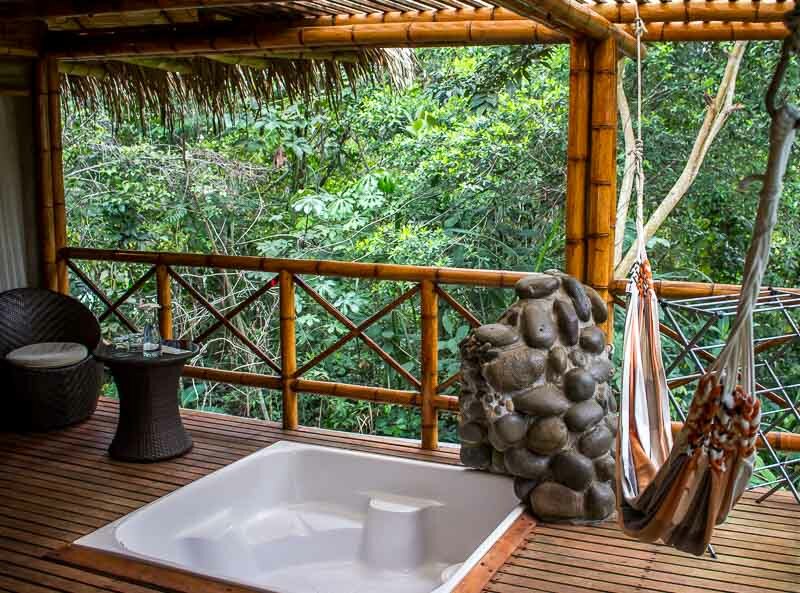 Click here to see La Selva Lodge prices and availability. First, I’ll tell you all about our Ecuador Amazon Tour. 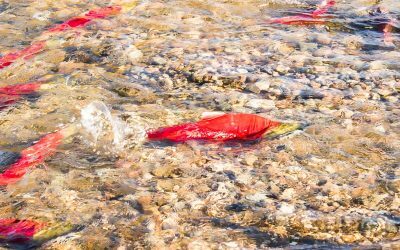 Spoiler – it includes blow darts, monkeys, jungle hikes, and even piranhas! 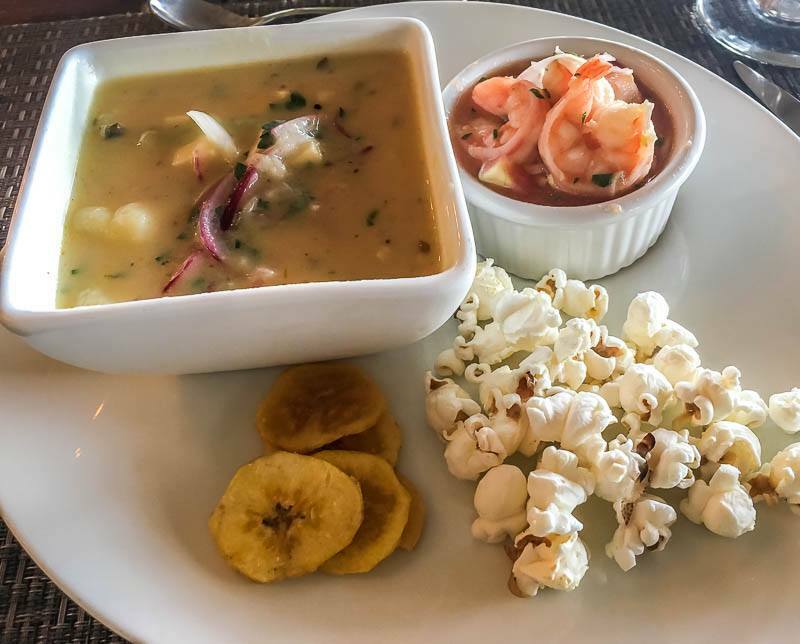 If you’re interested in checking out the food and our room, scroll down or click here to skip directly to our review of La Selva Lodge Ecuador. 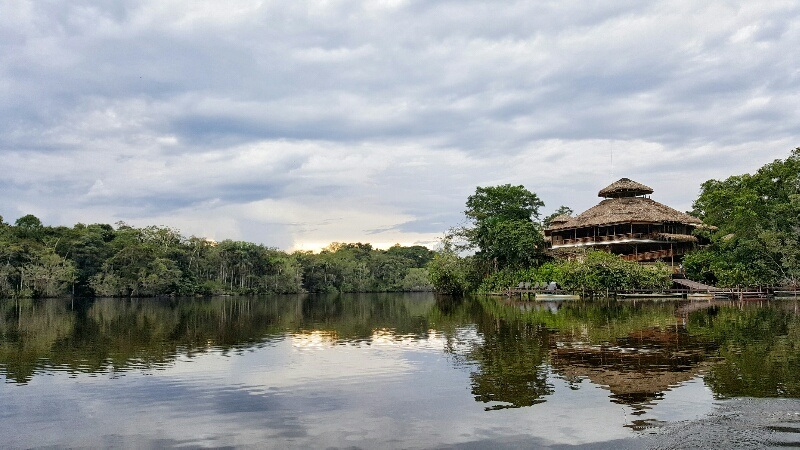 Our four night Amazon tour at La Selva Lodge definitely kept us busy from the very beginning, when we arrived at the lodge in a dugout canoe (you can read our journey into the Amazon here) via tranquil Heron Lake (it’s also known as Garzacocha Lake). La Selva Lodge is located deep in the jungle, about an hour plane ride from Quito to the small town of Coca (also called Puerto Francisco de Orellana), followed by an almost two hour journey on a motorized canoe, a 10 minute walk through the rain forest, and then a half hour paddle in a dugout canoe down a small creek and then across Heron Lake to the Lodge. 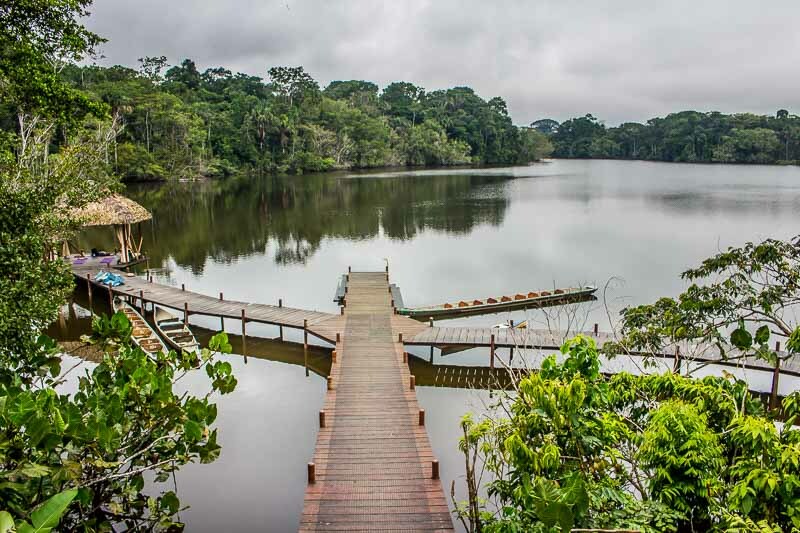 La Selva itself is located deep in the Amazon basin, on a tranquil lake that’s connected to the Amazon River system. 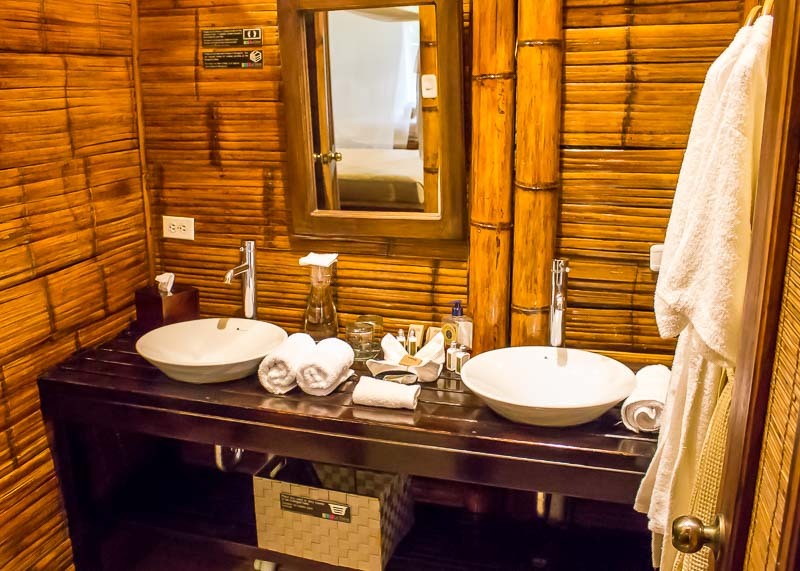 The Lodge is a stone’s throw from Yasuni National Park, which is one of the most biodiverse places on the planet. 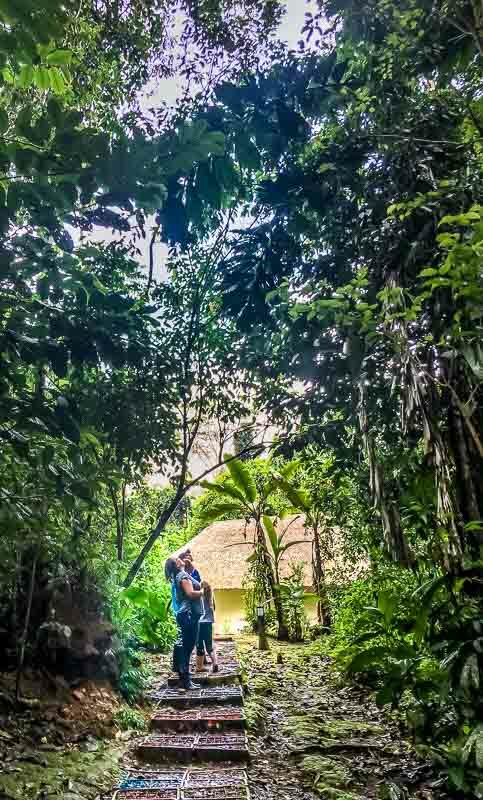 At La Selva Amazon Eco Lodge, they take care of all the excursions with in-house guides so there’s no need to book another company for activities. 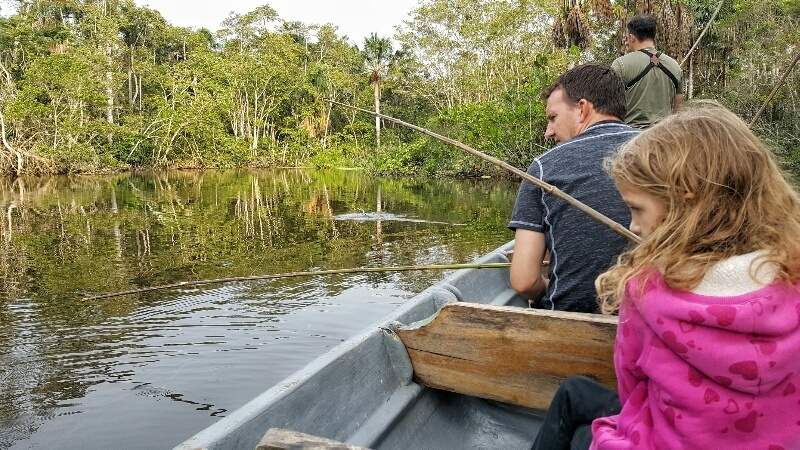 During our stay, we hiked through the surrounding rainforest, fished for piranha, spotted birds from a 100 foot treetop canopy tower, took a night paddle and even took a night hike through the awakening jungle. When we were done, we relaxed in our fully equipped cabana. We saw more wildlife than I thought possible, including monkeys, birds, black caimans, butterflies, amphibians, insects, and tarantulas. Tip! 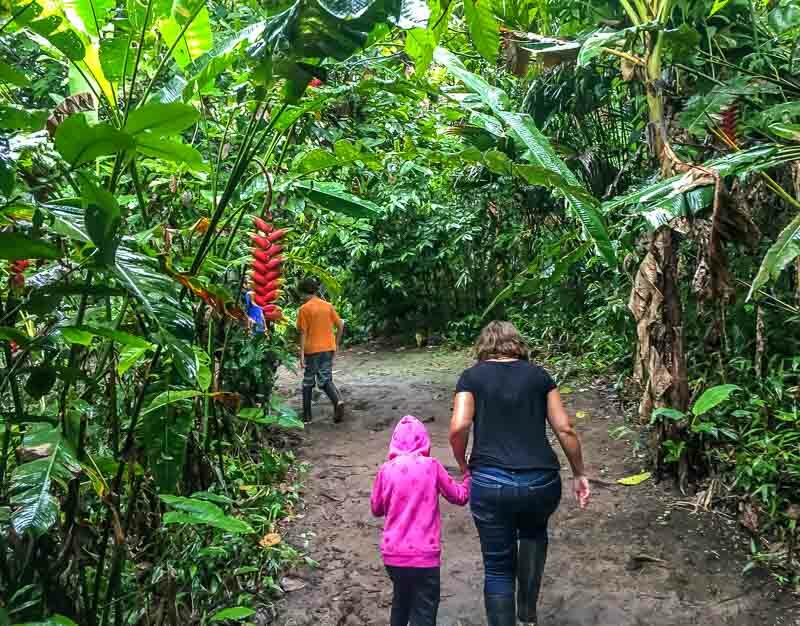 We visited independently, but you can also visit La Selva Ecolodge as part of an all inclusive La Selva Lodge tour with G Adventures. 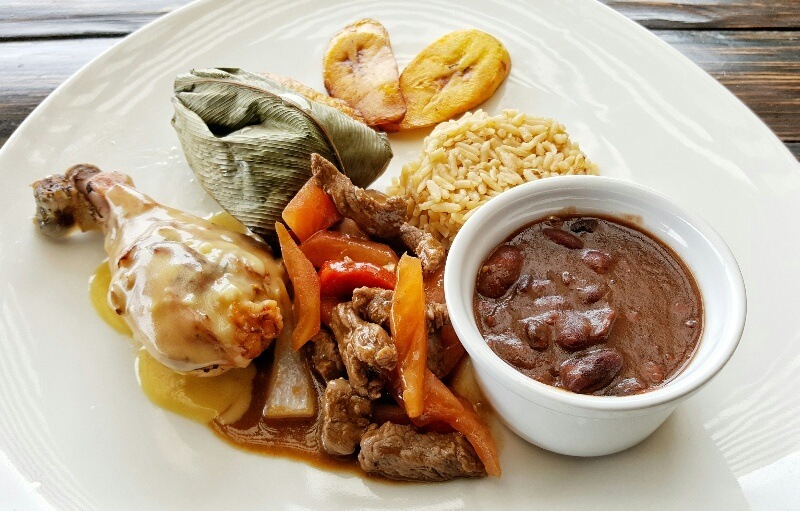 The G Adventures tour includes flights from Quito and other transportation, as well as the standard La Selva package of accommodation, activities and gourmet meals. 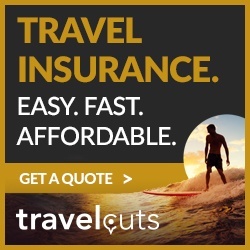 See prices and availability on G Adventures. 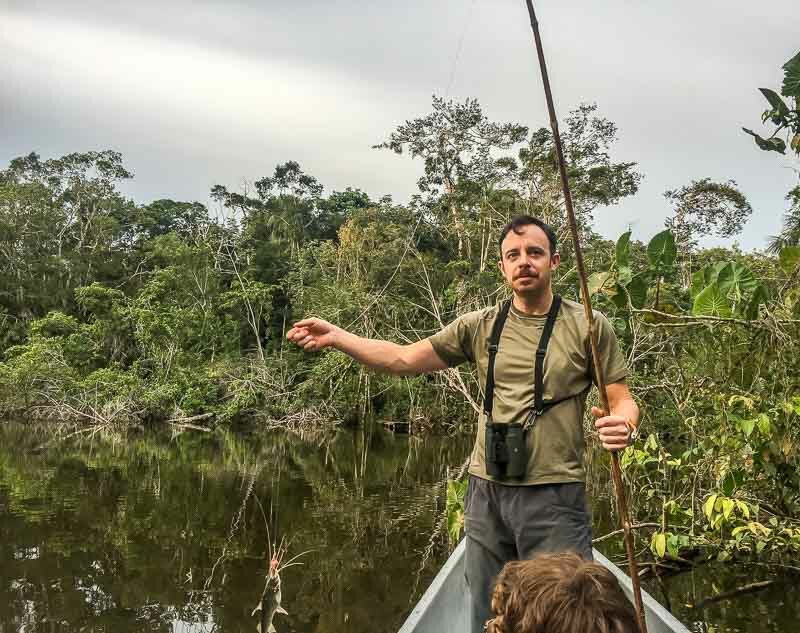 All of our jungle activities were guided by both an English speaking guide (the incredibly knowledgeable Daniel) and a local native guide (patient and helpful Medardo, who grew up a stone’s throw away from the Lodge in a local tribe). As a family with two kids, we wanted to make sure that we were in good hands in the jungle. Both Daniel and Medardo were attentive, knowledgeable, careful, and a lot of fun. With two kids in tow, fishing for piranha was high on our must do list. Our native guide Medardo prepared traditional bamboo fishing poles, and loaded us up with raw meat as bait, and we set out in a dugout canoe. It was definitely unnerving to see how the raw meat bait disappeared from our hooks within a matter of seconds! 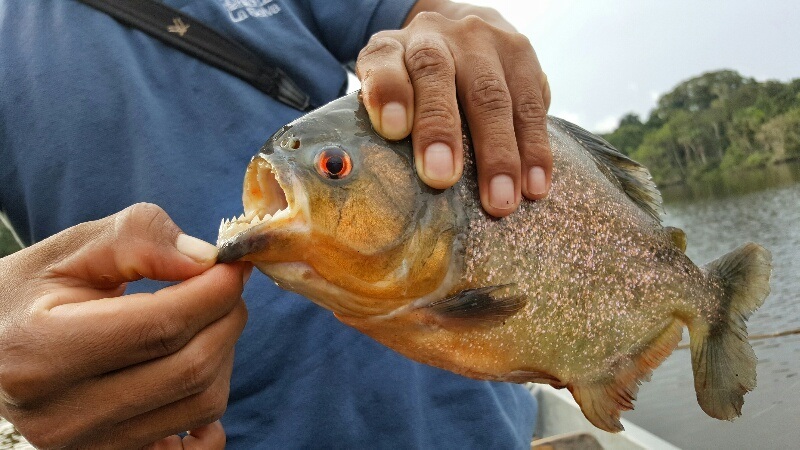 In the end, we ended up reeling in several piranha, most of them less than six inches long, but a few larger than our heads (eek!). Our guide, Daniel, even caught a catfish. One of our day trips took us to a local Amazon tribes village (the Pilchi village). We spent most of the afternoon there, learning about their way of life, eating food prepared by the local women, and learning about how they use local plants and animals. Stay tuned, as we’ll be writing an entire new article about our time at the local Amazon tribe! While the whole trip was memorable, our son Cole especially loved the chance to try his hand at using an authentic blow dart gun. Traditionally, the men of the Pilchi tribe used the poison tipped blow dart, to take down wildlife to eat. Our darts, of course, weren’t poisonous but we did enjoy testing out our aim regardless. Medardo, our local guide, was taught how to use the blow dart by his father who was one of the last of his tribe to use the blow dart as an everyday hunting tool. They had very strict rules on who could use a blow dart and when, so it was a special treat that we had an official expert with us on our trip. 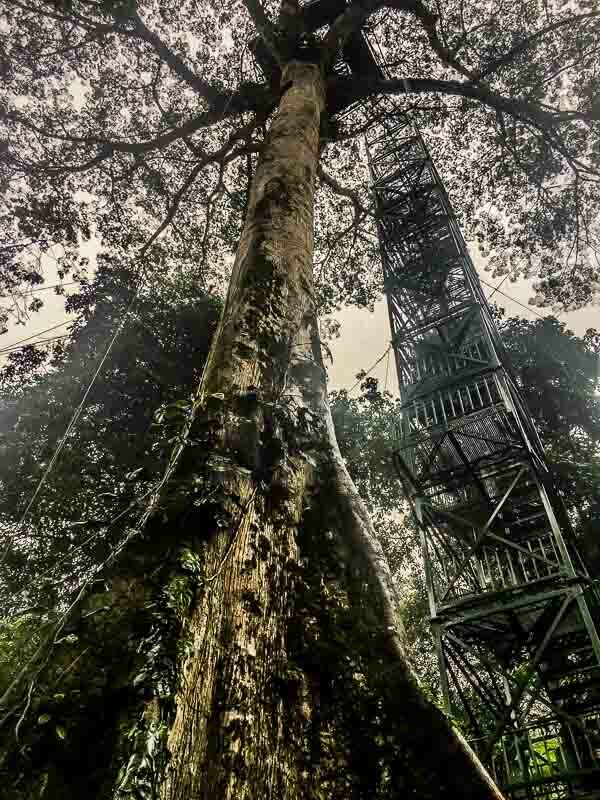 Another one of the highlights of staying at La Selva was climbing to the top of their own 10 story observation tower, deep in the heart of the jungle. On our first attempt to climb the tower, we were surprised by a booming thunderstorm during our walk. Luckily, Daniel and Medardo had thought to equip us in comfy rubber boots and rain ponchos. They even had boots and ponchos to fit the kids, though if your little one is younger than Jordan (age eight), you may want to bring a raincoat for them. The smallest poncho was pretty big on her. We chose not to climb the tower that morning because of possible high winds and lightning, and instead went back later in the day when the storm had eased however it highlighted the fact that when you’re in the rainforest, sometimes it’s going to rain. The observation tower as the rain began to loom, turning the jungle an eerie shade of yellowish grey. Despite its location deep in the jungle, the observation walk was only about 10 minutes away from the lodge. When we made it back when the weather cleared, we were greeted with this view from the top of the observation tower. It felt like we could see all the way back to Quito! During all of our hikes and activities, it was only the four of us and our two guides. 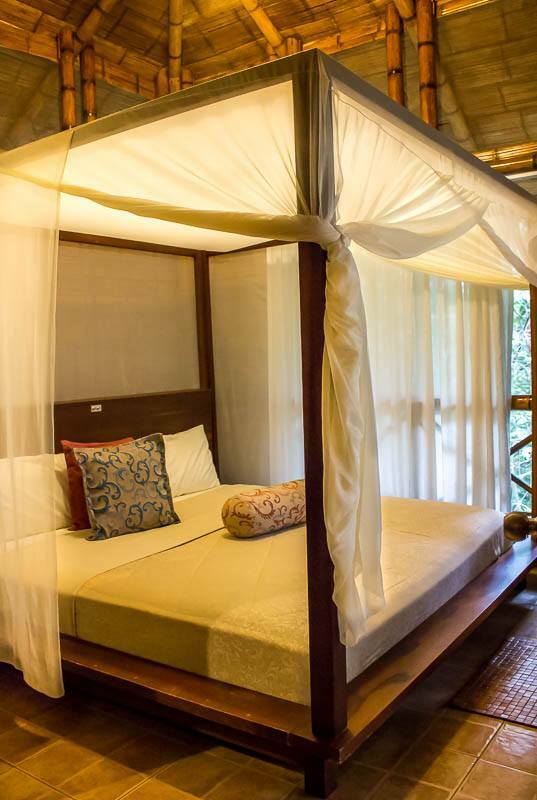 This is the standard at La Selva Lodge, with one or two guides per group of four or five people. 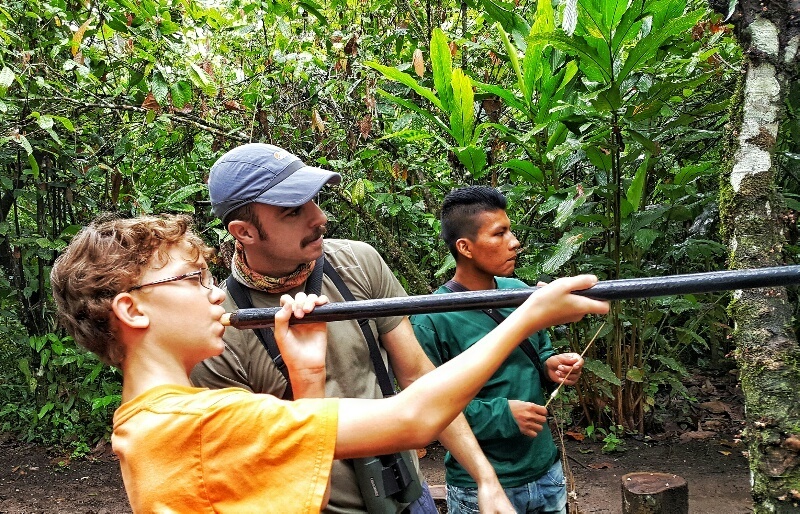 That ratio meant that we got a personalized introduction to the rain forest, which was perfect as our English speaking naturalist guide Daniel was patient with the kids’ questions and quick to change our schedule if the weather or an opportunity presented itself. For the most part, we walked on raised platforms and paths through the jungle, although some of the trails were on dirt. All of the trails were well marked, though I was glad to have guides along to guide us home! One of the most unique experiences we had at La Selva was visiting the exposed clay riverbank where brightly colored parrots gather to eat clay every day. 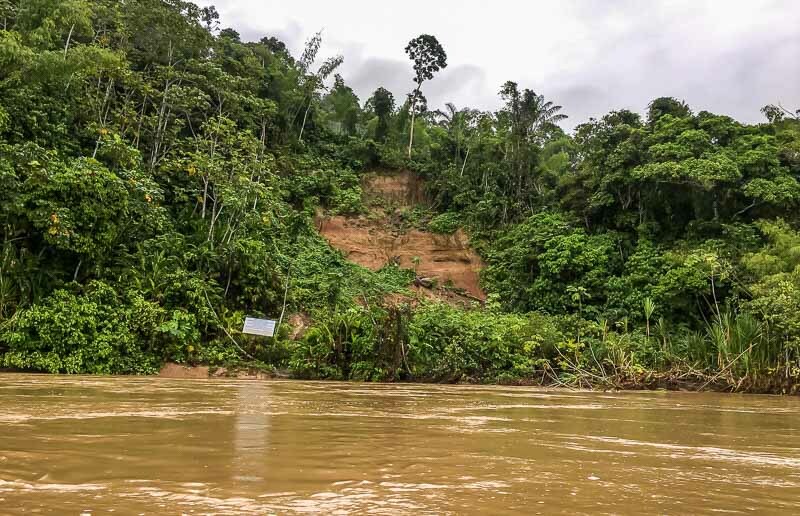 The parrot clay lick is inside Yasuni National Park along the fast and large Napo River. The clay apparently neutralizes toxins in many of the nuts and foods the birds eat and the three species of parrot common to the area gather in large groups in the mornings to digest the clay. 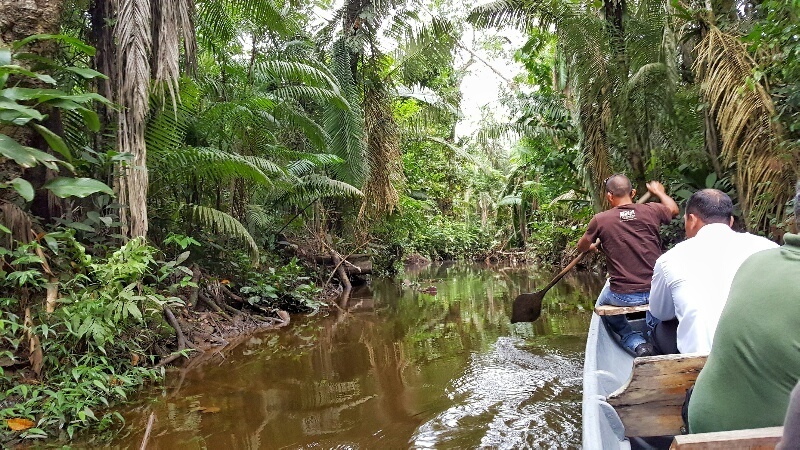 From La Selva, visiting the clay lick is a 10 minute motorized canoe ride as well as the 15 minute paddle up the lake and down the creek to get to La Selva’s Rio Napo dock. We did have to wait about 15 minutes before the birds appeared, but we saw well over 30 parrots. The majority of the parrots we saw were green Mealy Amazon Parrots, but the Blue-headed Parrot and Yellow-crowned Amazon Parrot also visit the salt lick and they could be seen in the surrounding trees. If you’re really lucky, you’ll see hundreds of parrots at one time. 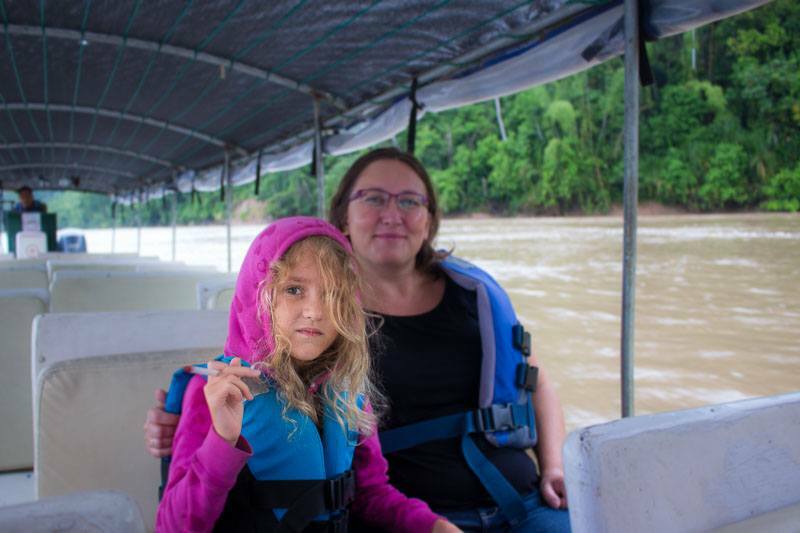 We spent a lot of time in the water on our Amazon tour in Ecuador. 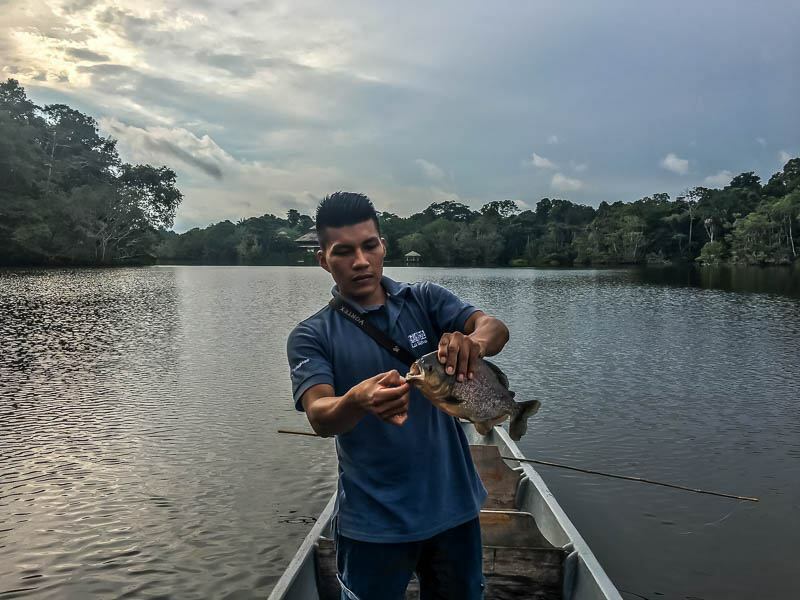 La Selva’s lake Heron is connected to the mighty Napo River by a small creek and many tributaries. We paddled along on the water, watching monkeys scurry overhead, birds flying through the trees, and even saw large black caiman crocodiles lounging along the shore. 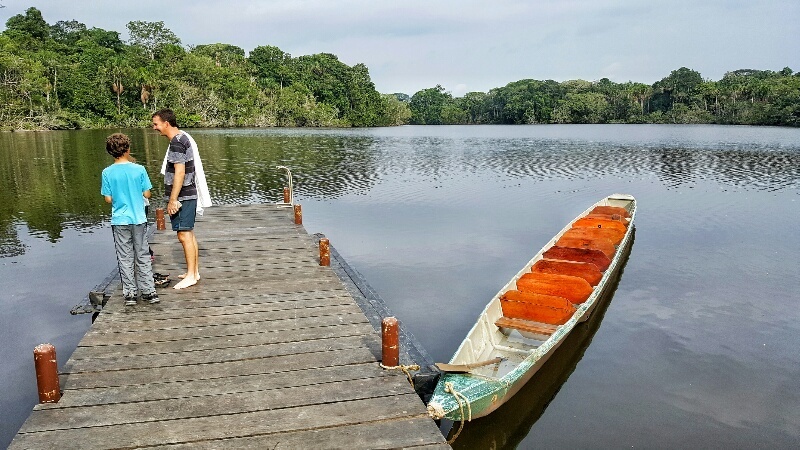 In addition to scheduled and guided excursions like jungle hikes, piranha fishing and visiting the local indigenous community, the lodge offers many independent activities. If you’re so inclined, you can take one of the canoes or kayaks out on the lake, grab a massage, or even enjoy a yoga class on the water. Charles was the only one brave enough (or is it crazy enough? 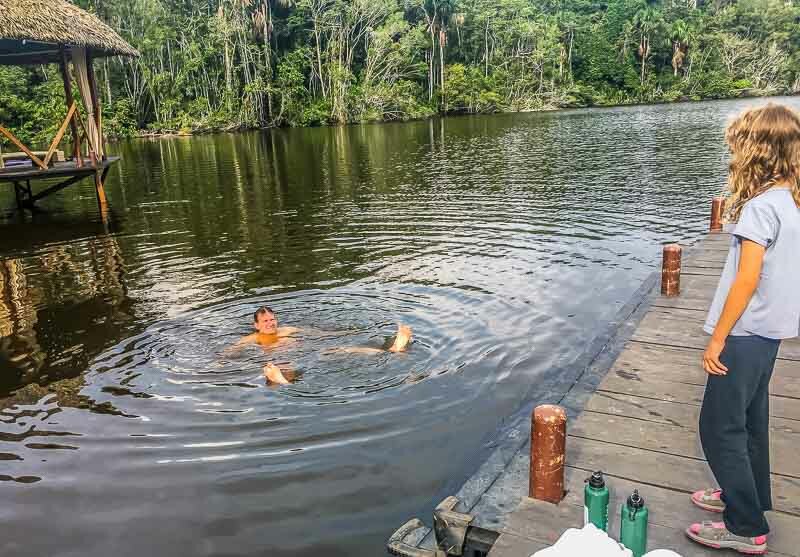 I’m not sure) to do this, but you can even swim off the dock at La Selva. You’ll be swimming with caimans, electric eels and piranhas, so use caution! Charles swimming with piranhas in the Amazon at La Selva Lodge. Yup, still has his toes. We all had a fantastic time during our family yoga class. Daphne, our yoga instructor, gives personalized or group classes in the Gazebo overlooking the lake. Our class was aimed to entertain the kids, but you can also get classes customized to your needs. 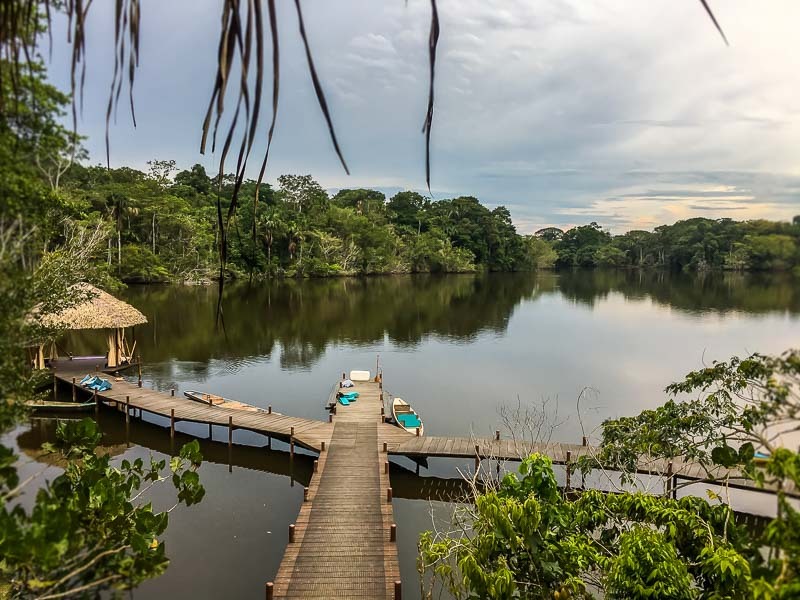 La Selva Lodge is perched beside Yasuni National Park, which is one of the most biodiverse places on the planet, and home to millions of species of plants, birds, insects and mammals. 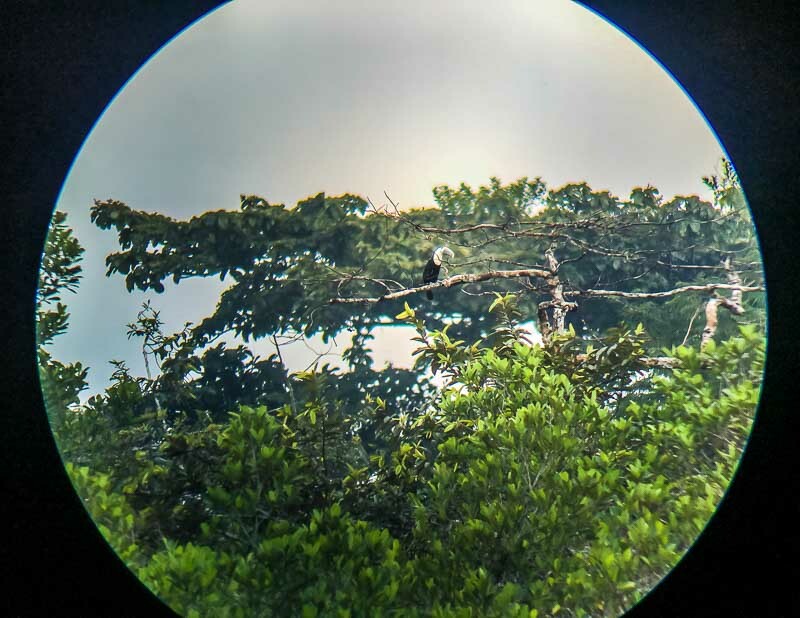 We were lucky enough to see several monkey species in the park, including black capuchin monkeys, white-fronted capuchin monkeys, spider monkeys, and howler monkeys. 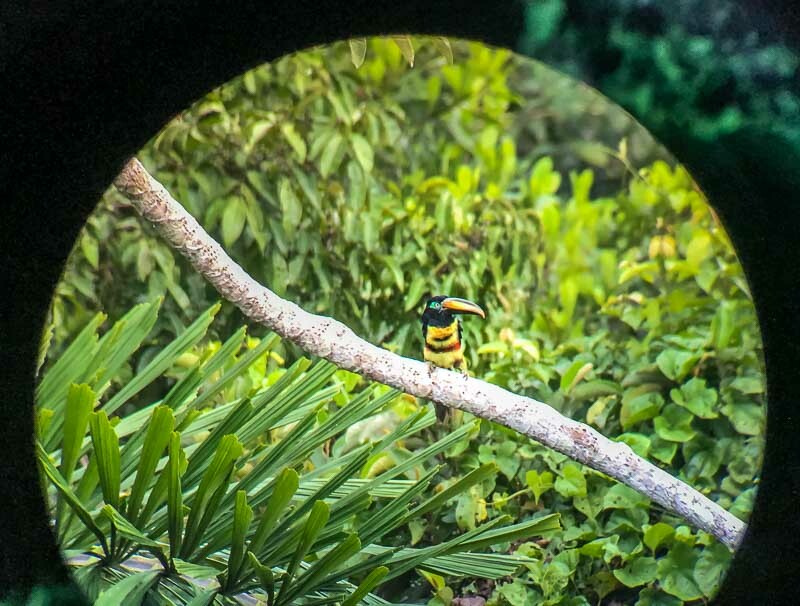 Yasuni is home to at least 596 bird species. We didn’t quite see all 596 species, but we did see so many that I lost track. Our favorite place to bird watch was up in the lodge’s observation platform above the restaurant and lounge. From there, we could look over the lake and into trees in the surrounding jungle. 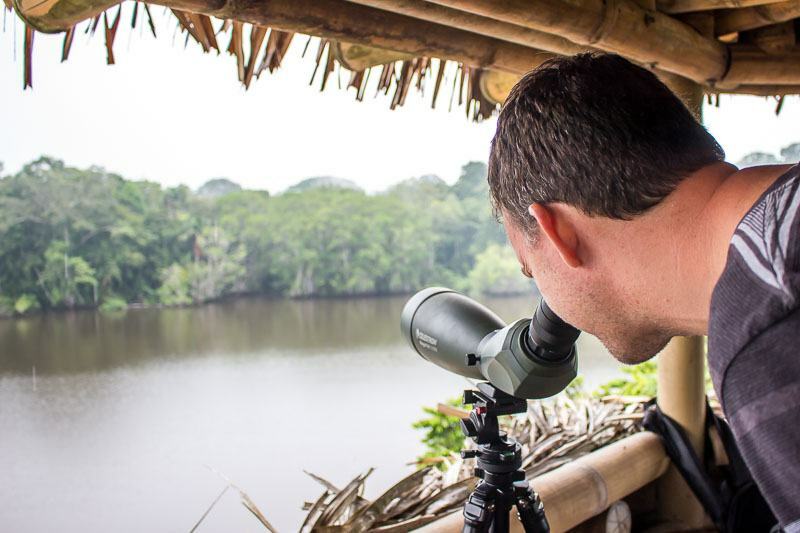 The lodge had some quality binoculars and equipment for bird watching, which made it fun and easy. 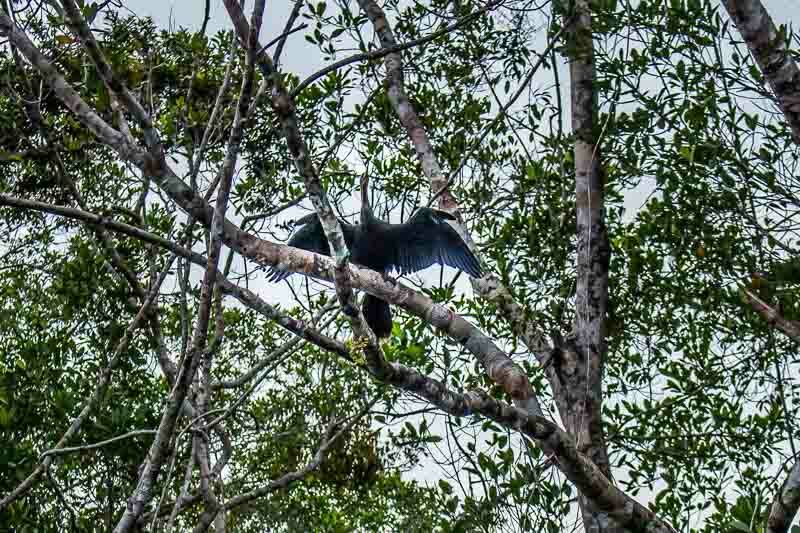 The trees were honestly teeming with birds like toucans, parrots and the comical hoatzin (which locals call the stinky turkey). 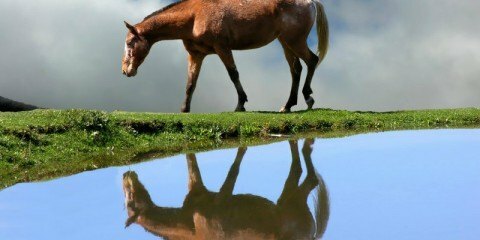 This is truly the wild, so experiencing and seeing animals is really up to nature. La Selva was fantastic about getting us out to see local wildlife, and took us on canoe rides, and nature walks, including a night walk through the jungle. Our english speaking naturalist, Daniel, was very informative on each species we saw and Medardo, our native guide, knew exactly how to close we could get without scaring it away or being in danger. 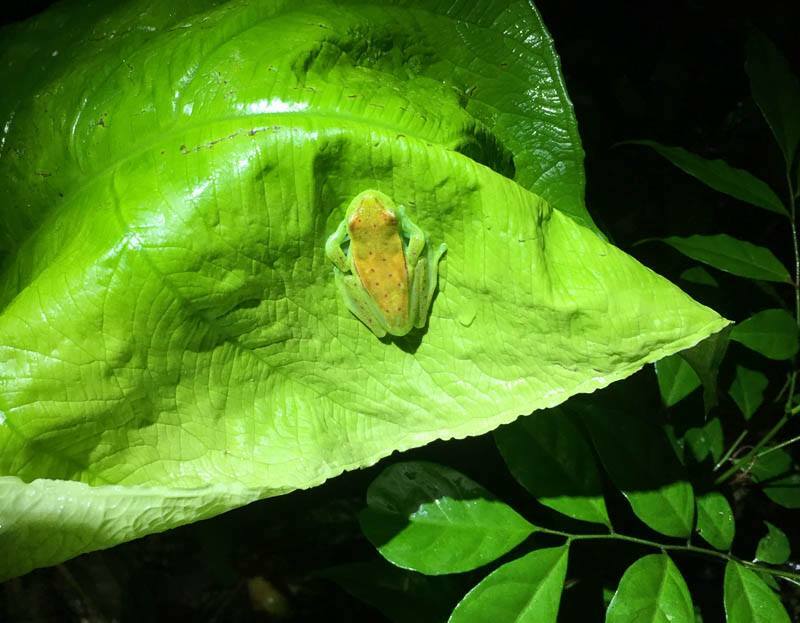 During our night walk, we saw a tailless scorpion, two tarantulas (one in a tree, and another in a ground burrow), and plenty of frogs and other invertebrates. 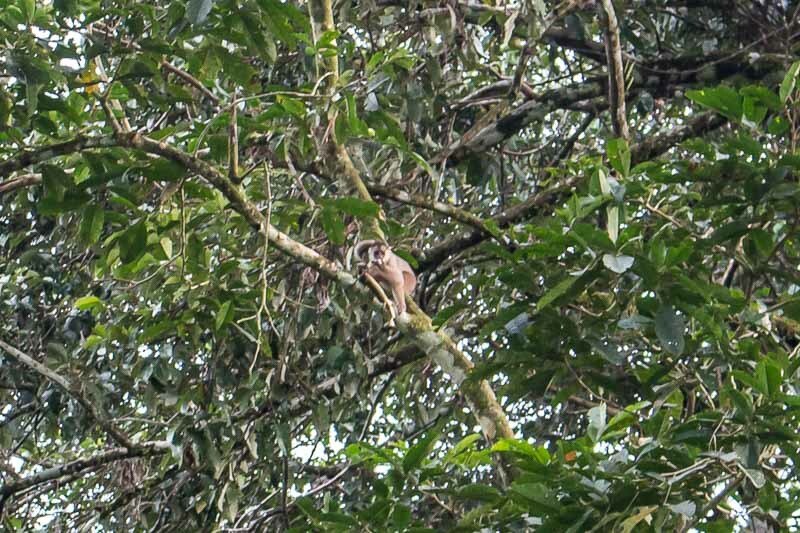 If creepy crawlies aren’t your thing, we also saw a tiny (and adorable) little opossum, plenty of birds, and a troupe of Capuchin monkeys that night. The monkeys were a bit feisty, throwing stuff at us from above, including bean pods they’d just eaten. They would eat the sweet white fluff around the beans, and then throw down the bean and pod. 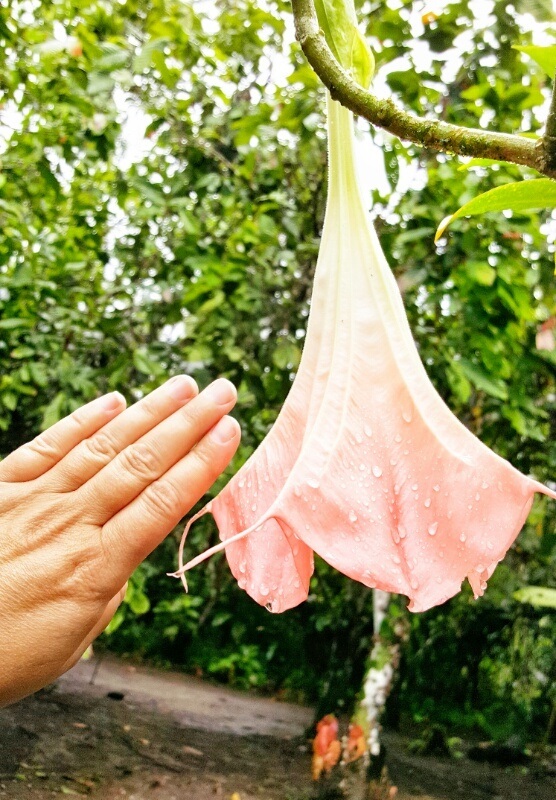 Ecuador’s Yasuní National Park is also home to countless plant species. Everywhere we looked, the jungle was covered in lush green, and a profusion of flowers, ferns, and orchids. 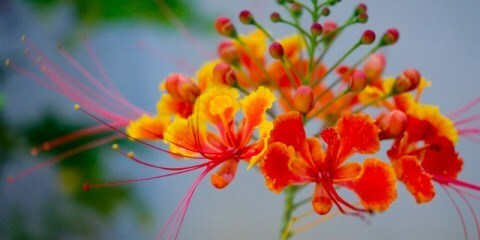 At home in Canada, we only see the bird of paradise flower in high-end, expensive florists. 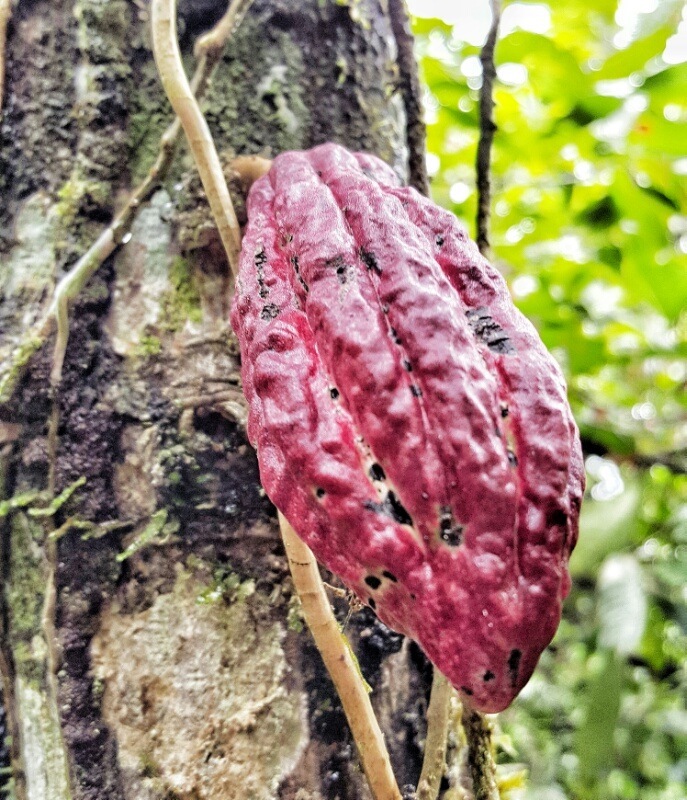 Here in the jungle in Ecuador, they grew wild almost everywhere. During our visit to the local Pilchi tribe’s village, the village women showed us crops they grew for food, as well as local jungle plants shamans use for medicine. 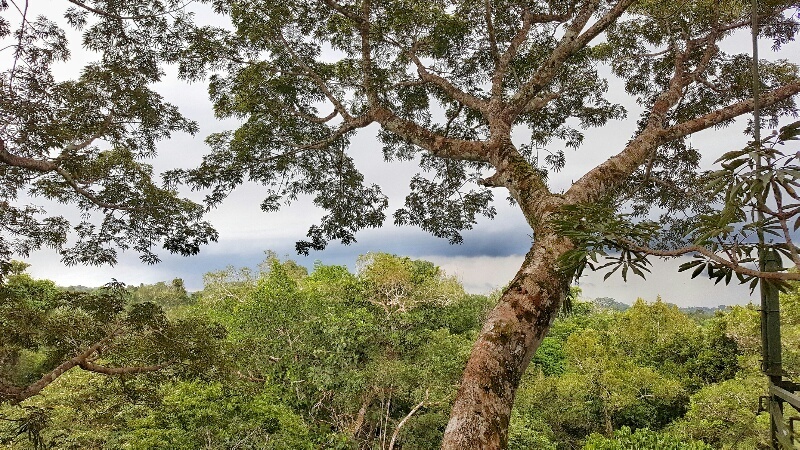 Just being in the Amazon itself is a bit of a trial, as it can get oppressively humid and hot, and plenty of activity can quickly lead to heatstroke. 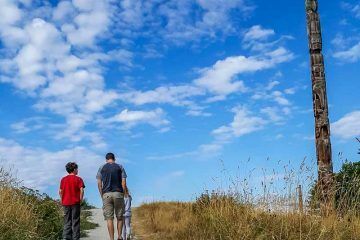 We had our children with us, so we wanted to stay someplace where we could be comfortable, with a cool place to rest, as well as decent food. La Selva delivered that in spades, and more. From the start, when the La Selva team met us in the Quito airport with boarding passes already printed out, helped check our luggage, and handed us a gift for each of the kids, we knew we were in good hands. 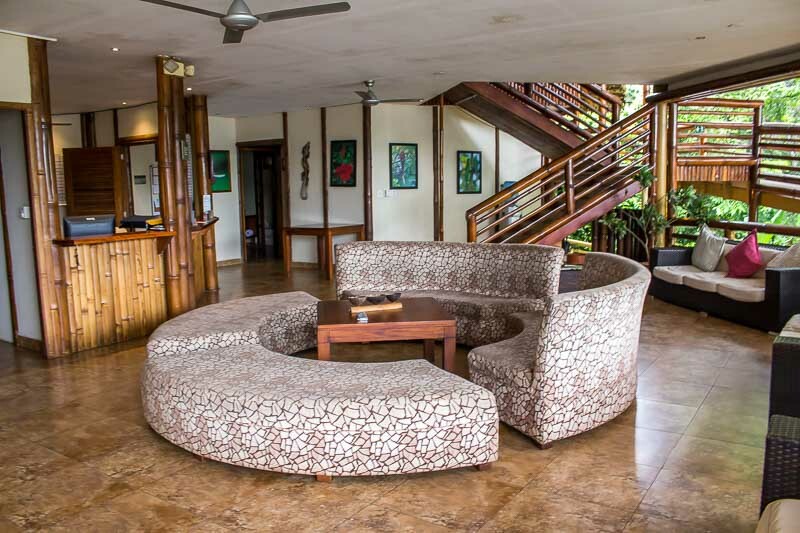 The La Selva Lodge is a big place, with private bungalows dotting spacious, landscaped grounds, surrounded by jungle on all sides. 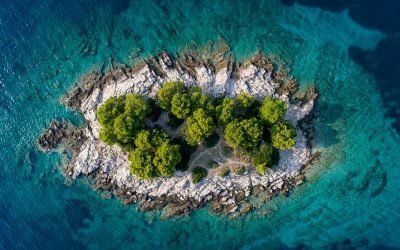 From our cabin, it was a two minute walk to the secluded spa with its outdoor Jacuzzi, and a short 30 second hop to the main building with a large restaurant, viewing area, lounge and dock. We had a family suite, with a king bed in one one room and two double beds in another. Outside, we had a private porch, hammock and a sunken tub in the deck. The rooms had a lot of nice little extras, from a dry box to keep electronics free of moisture, to mosquito netting over all the beds. There was also a washroom with double sinks and warm showers. 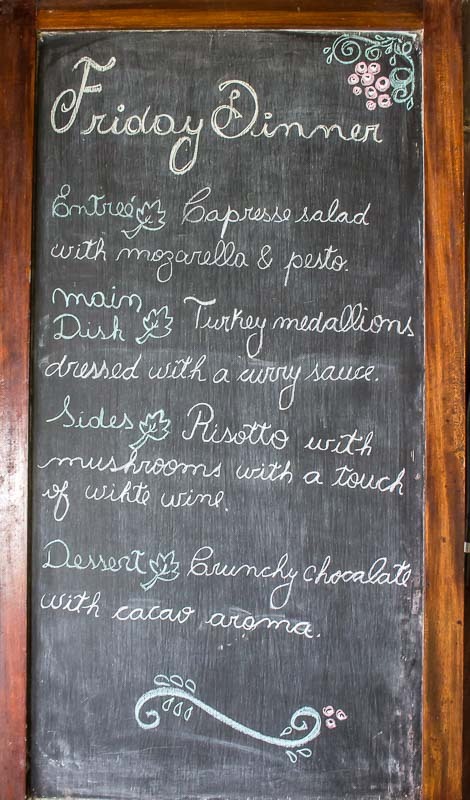 Our stay at La Selva included all meals and snacks. 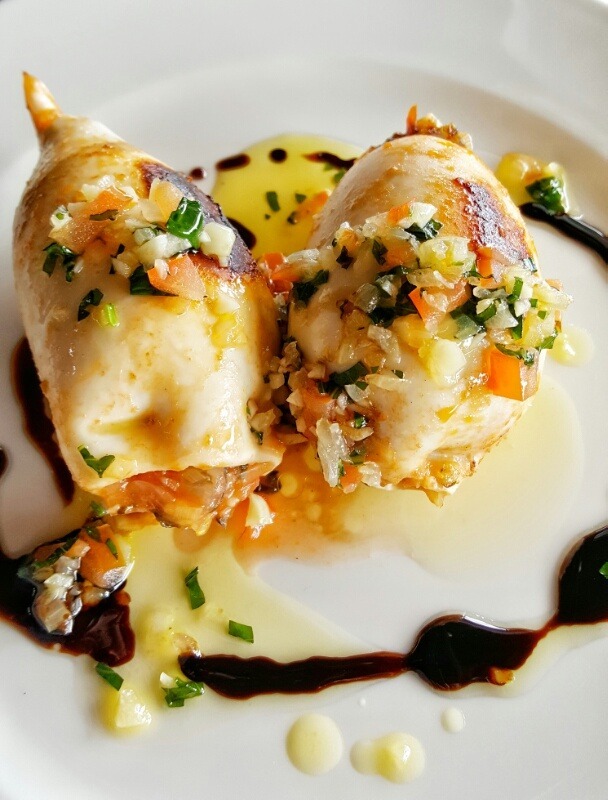 Dinner, supper and breakfast are served at specific hours, but there are light snacks available from friendly Marcello, the bartender, any time of day. Breakfast our first day started things off right, with a delicious fruit plate, cheese and meat plate, tiny corn tamales in corn husks, coffee, tart orange juice, pineapple juice and an offer of eggs. We especially loved the chef’s willingness to accommodate us, as me and the kids are vegetarians. 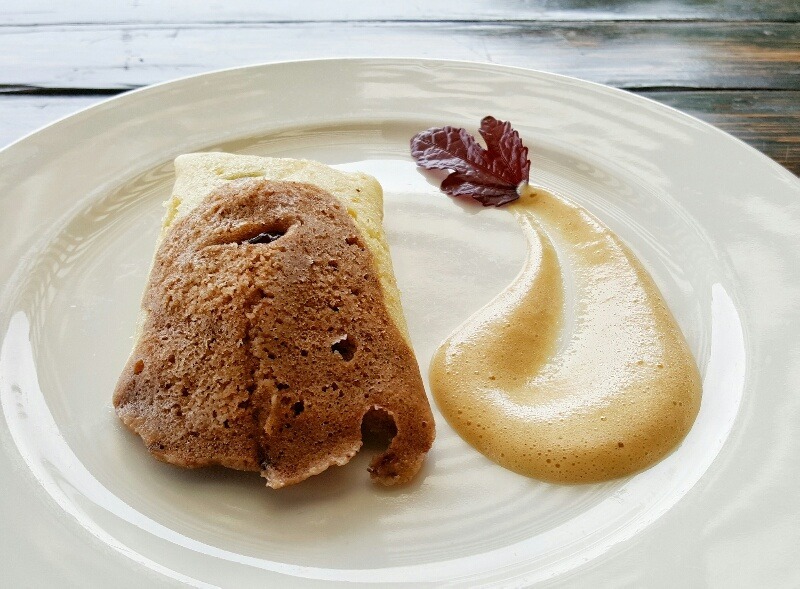 They were happy to whip up kid-friendly veggie meals, and asked us what we’d like best. They also offered up great fish and meat meals which Charles was thankful for after early days and long nights hiking and going on adventures. They also offered some great desserts which everyone was thankful for. Weather: We went in early March, and found it warm and with humidity never dropping below 80% any time. When it rained, which it did at some point every day, the humidity got even higher. I set out some pants to dry from a walk one night, and in the morning they were wetter from the overnight humidity than they’d been the day before. Damp everything is pretty standard Amazon rainforest fare so pack accordingly. That said, the staff at La Selva does offer a laundry service. Bugs: Well, it is the Amazon jungle, so there are bugs. Surprisingly, we found that there weren’t a lot of mosquitoes when we visited in March. Charles was surprised that there were way fewer mosquitoes in the Amazon jungle than in his hometown of Winnipeg, Manitoba however it’s still a good idea to bring mosquito repellent, especially on the night walk. We also didn’t find any creepy crawlies in our room, much to our eight year old daughter’s relief and each bed has a netting that we made sure we used. 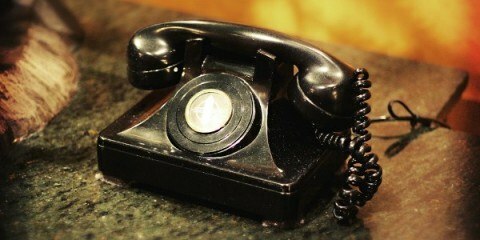 WiFi: Yes, there is WiFi at the lodge. 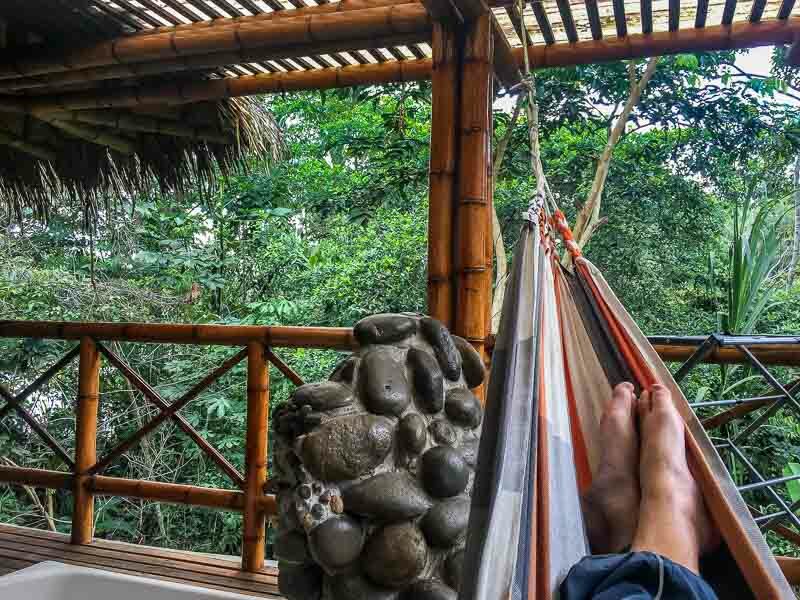 The WiFi is via satellite, so it’s enough to check email, but don’t count on streaming Netflix or uploading your photos with La Selva Lodge Ecuador WiFi. Hot water: There are hot water showers. We did have our hot water go out once, but we told the front desk, and they had it up and running in a couple of hours. Drinking water: La Selva gets its water from an underground well. There’s filtered drinking water available at all times in the main lounge, and they bring a pitcher of filtered water to your room every day. Guests are also given personal refillable water bottles to use while they stay at the lodge. 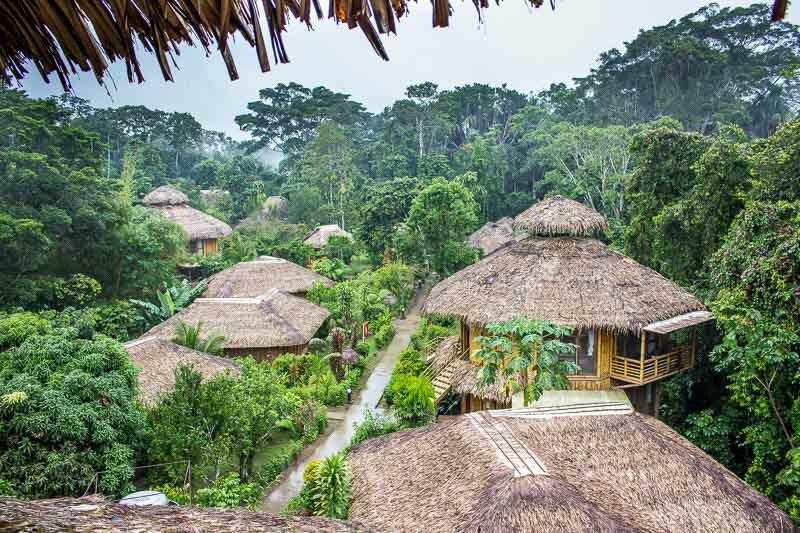 Location: The La Selva Amazon Ecolodge is in Ecuador’s Amazon region, bordering Yasuni National Park and the mighty Napo River. To get to it you need to get to Coca where they’ll take you down the Rio Napo River for a few hours to their private docks and then you need to take a canoe up a small creek and across the Garzacocha (Heron) Lake. 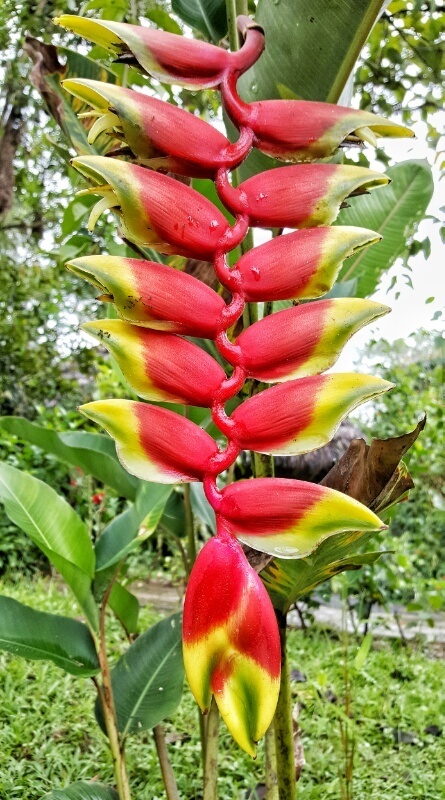 La Selva Lodge reviews: Click here to see reviews for La Selva EcoLodge Ecuador. 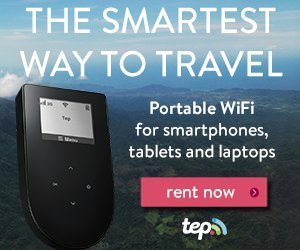 How to Book La Selva: You can book La Selva Lodge through Booking.com or compare prices on TripAdvisor here. 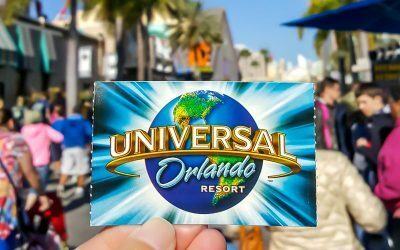 Click now to see prices and availability. 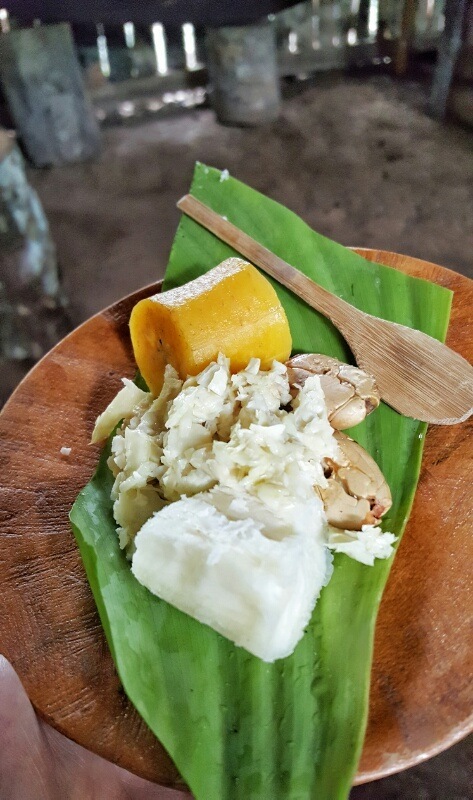 G Adventures La Selva Lodge Amazon Adventure: We visited independently, but you can also visit La Selva Ecolodge as part of an all inclusive La Selva Lodge tour with G Adventures. The G Adventures tour includes flights from Quito and other transportation, as well as the standard La Selva package of accommodation, activities and gourmet meals. See prices and availability on G Adventures. This seems like the definition of an adventure. So many details here…still letting them all sink in. Awesome post! This looks so fun and that yoga class looks peaceful!! I would love that. 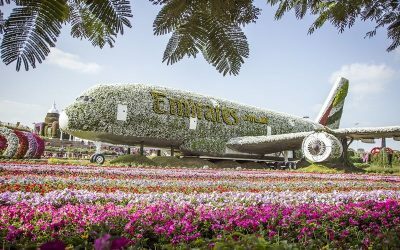 Looks like a first Class experience, the looks excellent. This looks so fun filled and that yoga class looks peaceful! 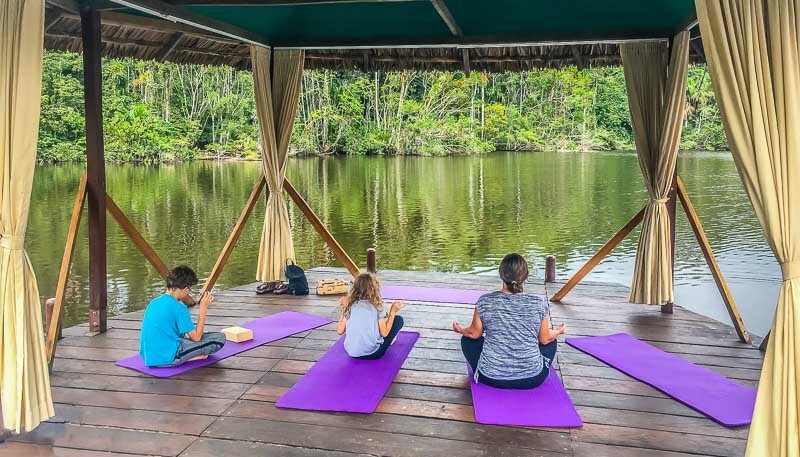 I would love a Yoga Class in the amazon. Ecuador Amazon Tour one of the best adventure tour of the world. 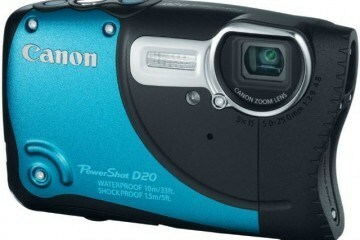 nice post with beautiful images…….. I would never dare to swim with the piranhas either! Never knew that the Amazon forest extends to Ecuador. Learning something new every day! Looks like fun and I would love to do sm yoga and explore those amazon forests. Wow. This would be a dream adventure. I will pin this for later because I want to go to Ecuador someday! My mom went on a mission trip but she didn’t get to explore the Amazon! Is it feasible to do this tour through La Selva and then travel to the Galapagos? 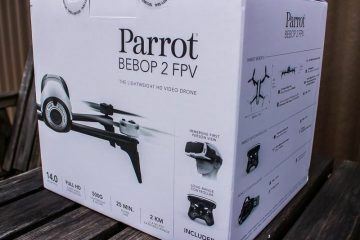 Who can help me plan this? 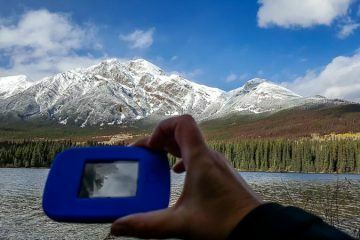 Hi Gabrielle, we did both trips and had a great time doing it. 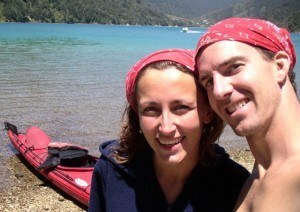 The biggest costs for us were getting to Ecuador in the first place. Though I will admit that visiting the Galapagos cheaply isn’t easy. Most people go with a set itinerary so they know their costs beforehand. 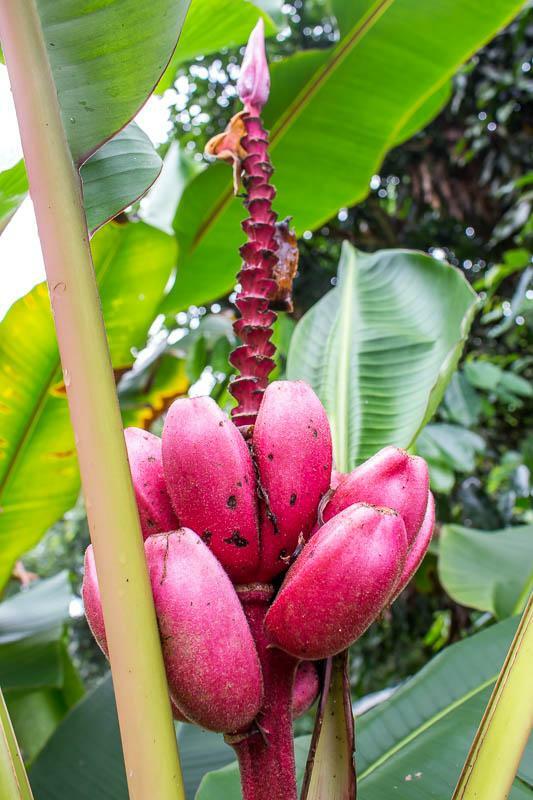 If you like La Selva, the owners of La Selva Ecolodge own a few boats that operate in the Galapagos Islands as well as they recently bought The Red Mangrove in Santa Cruz. You can check out The Red Mangrove site here. We actually stayed at The Red Mangrove ourselves however that was before it was bought out. You can read about our Red Mangrove experience in Santa Cruz here though I imagine that place has just gotten better since La Selva bought it. You can check out the La Selva Galapagos cruises here. They also provide Amazon and Galapagos combined trips here which might be what you’re after. It’s not hard to book your own flights online as well as book your own hotel or cruise with whichever company you prefer however if you don’t want to book it all yourself you can contact La Selva directly and they can help out or you can contact pretty much any decent travel agent in Ecuador or abroad and they should be able to set you up for a small fee. Safe travels!